Which can only mean one thing! Its Mini-Photo Shoot Monday and my muse, no other than Logan-he is such a good sport, not to mention a good subject! 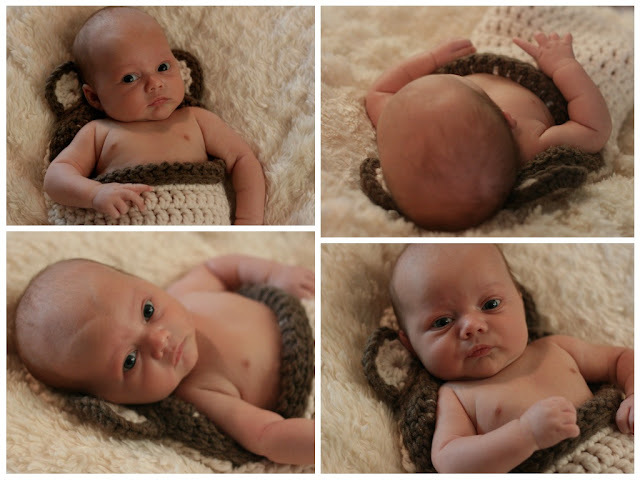 Logan is 5 weeks, 2 days old and as you can tell from the pictures, he has completely outgrown the bear cocoon but that didn't stop me from taking his picture. I love the you-have-got-to-be-kidding-me-mom look or the get-this-thing-off-of-me-it-is-too-tight look. 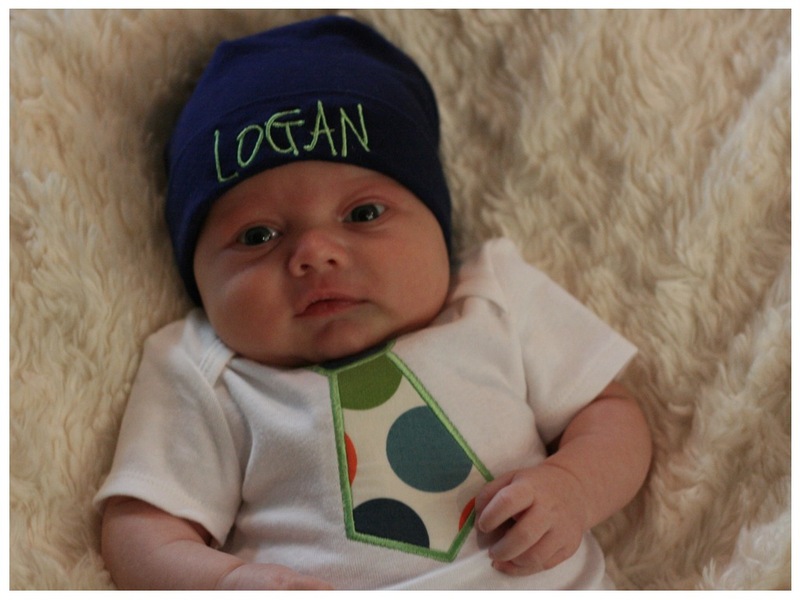 Since the bear cocoon was a tad snug, we went ahead and pulled out a new outfit which the Berbs gave to Logan. Hopefully he still fits in this for his 3 month pictures with Janie in August but if he keeps growing like he has been we could be in trouble. Last night I actually got a little teary eyed when putting him in his PJs, his little legs didn't have enough room to stretch out and today all the NB clothes were boxed up. I wouldn't mind boxing up all his NB clothes if a little more shut eye came with it but we are still at 4 hour intervals at night, come on 5!